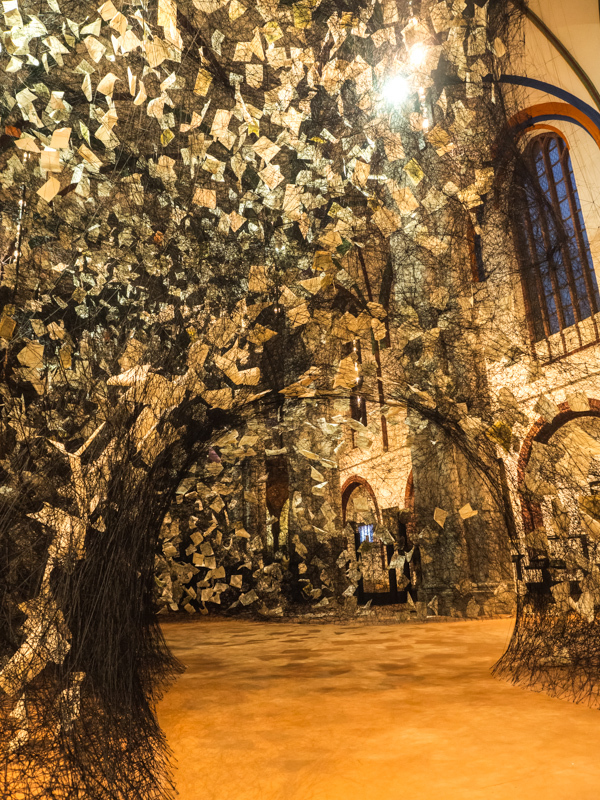 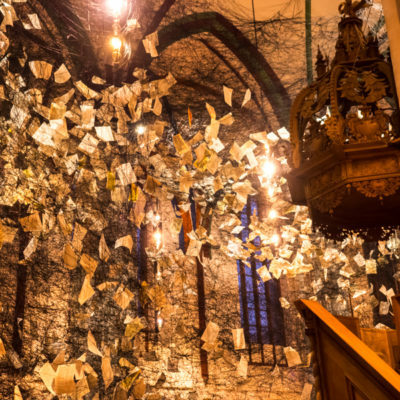 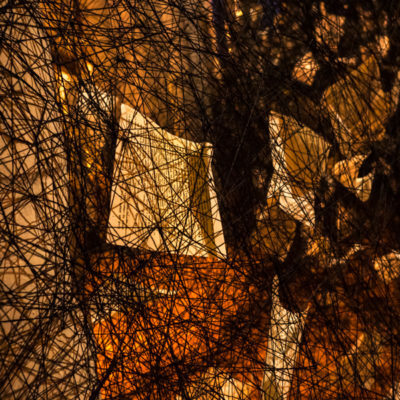 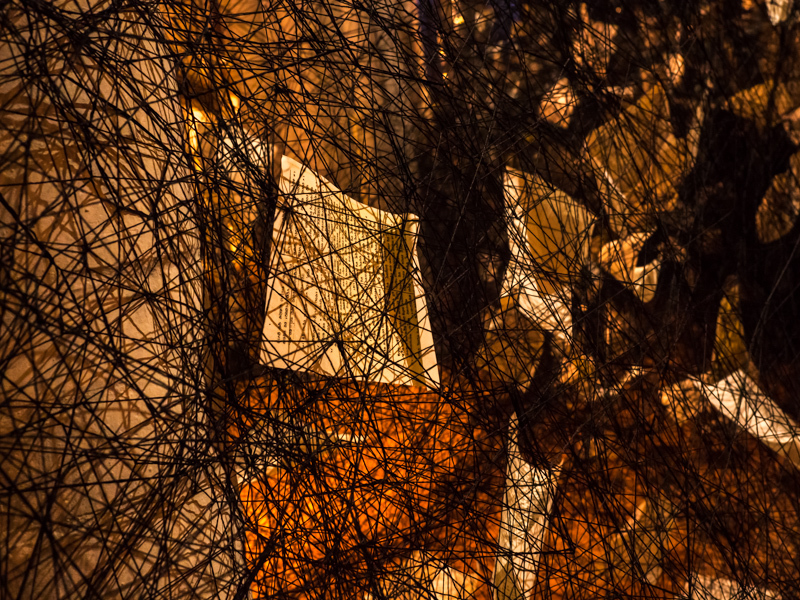 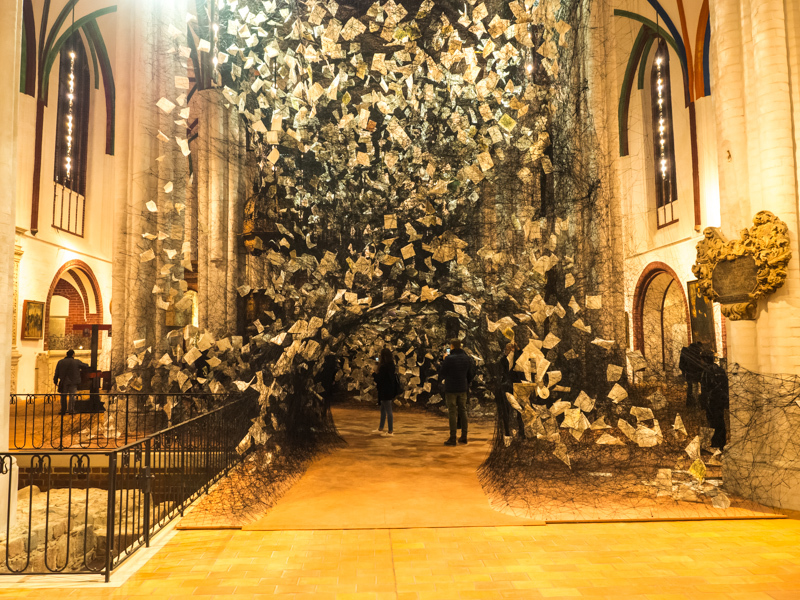 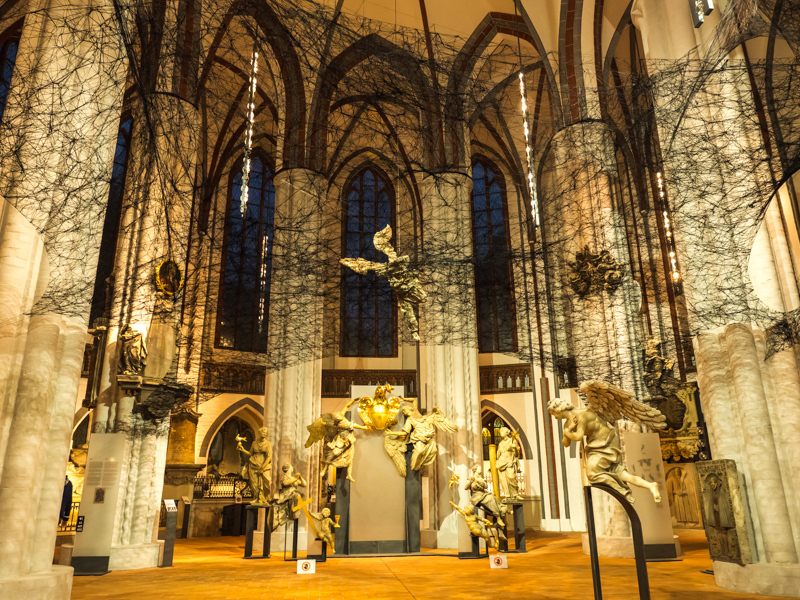 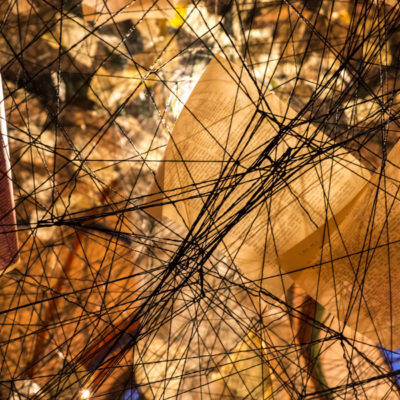 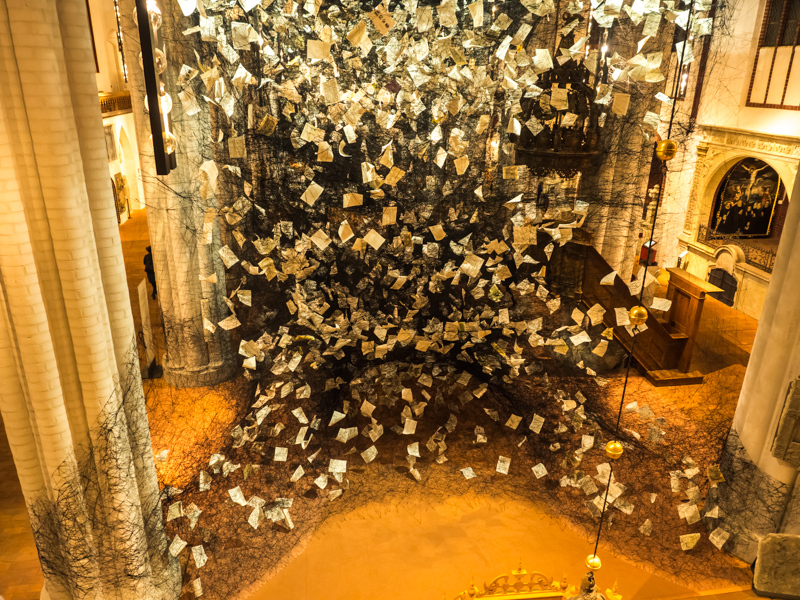 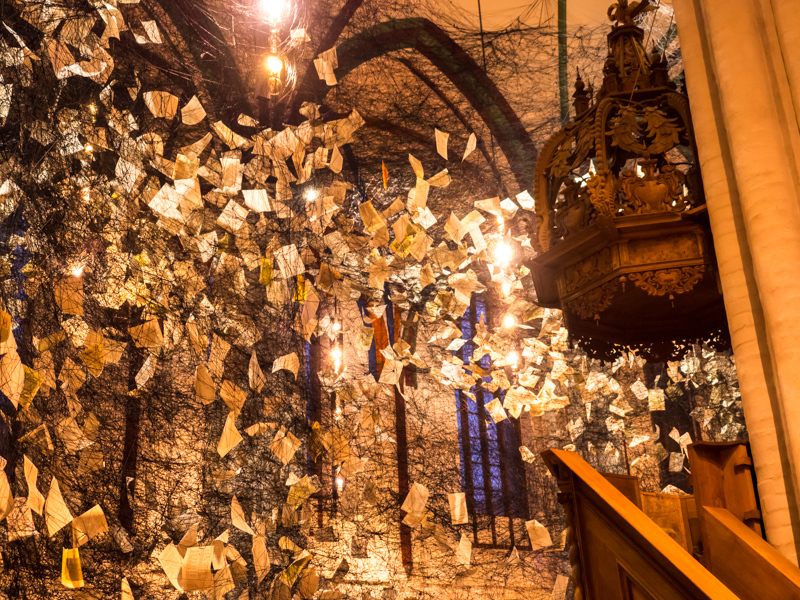 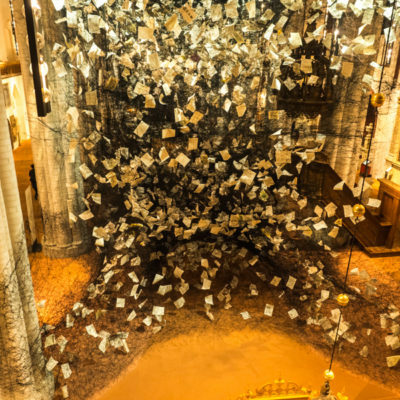 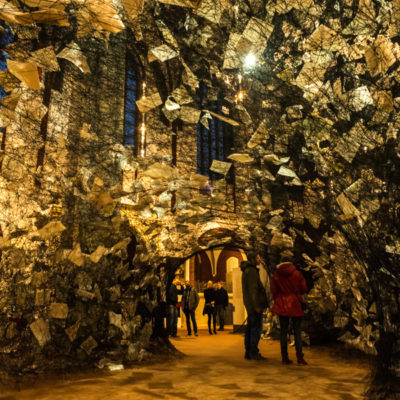 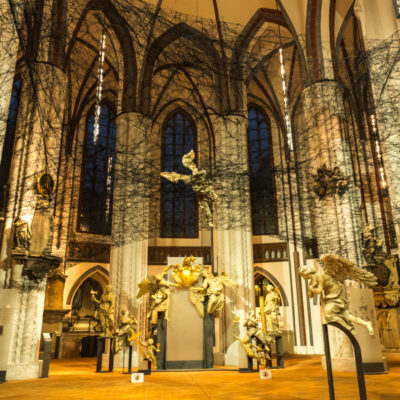 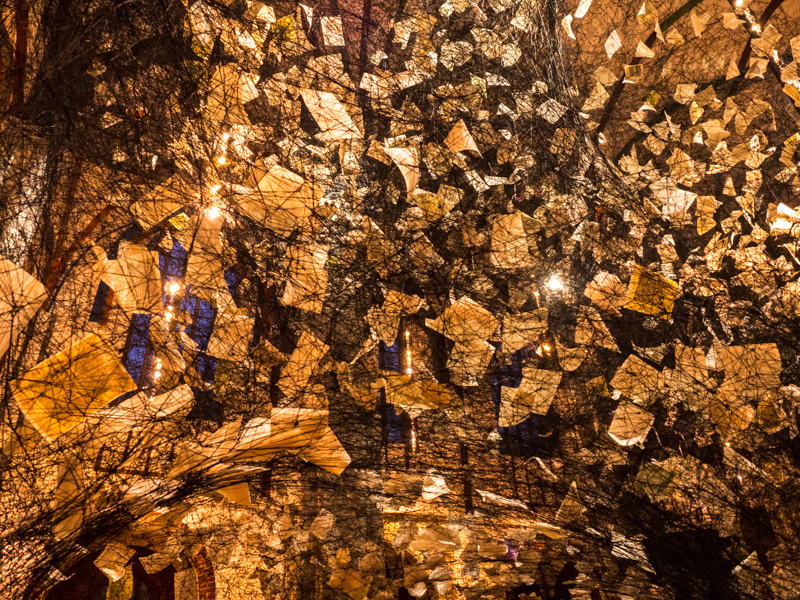 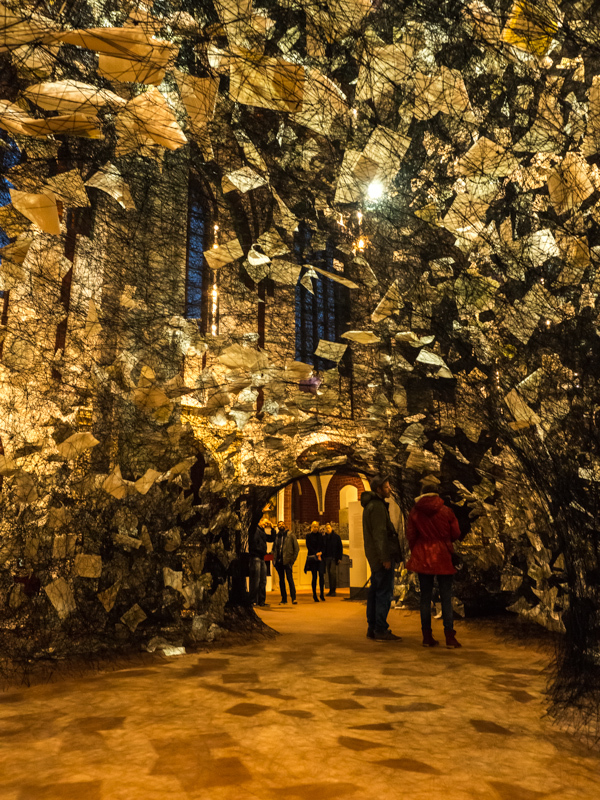 A Japanese artist Chinaru Shiota is showcasing her latest exhibition in Berlins Nikolaikirche. 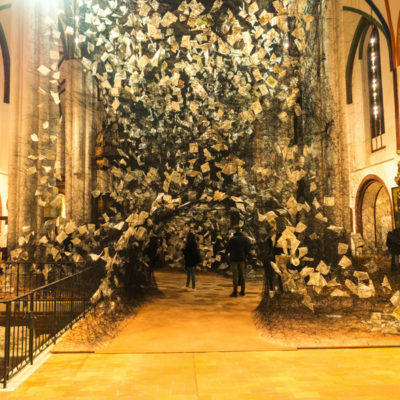 Interweaved pages from Bible in various languages that are encircled in a web made out of miryads of threads are symbolising global complexity of the Reformation and all the messages the Bible translates. 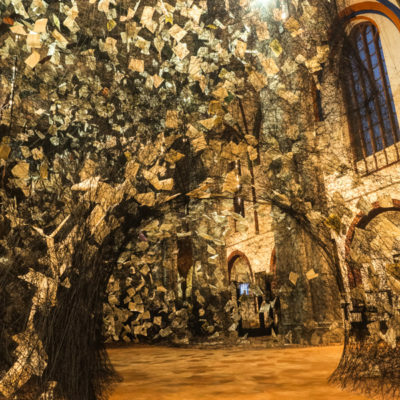 Worth noting that for Chinaru, this installation has additional context: it relates to the christianization of Japan in 16th century. 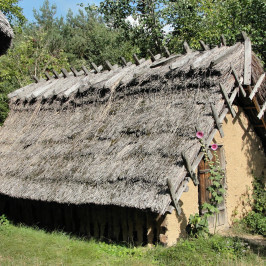 During that period a lot of population turned to Christianity, however, after were persecuted under the rule of General Hideyoshi. 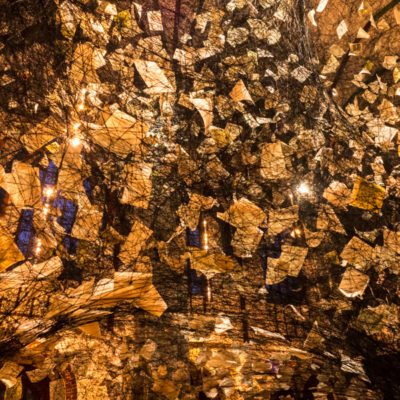 The believers transmitted the words of Bible orally for over 250 years, since all texts and scriptures were burned. 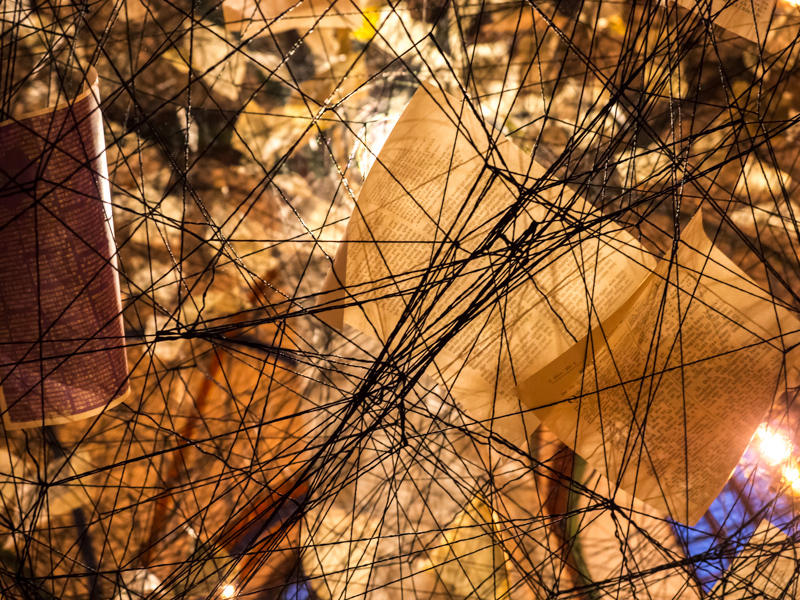 The exhibition is creating surreal forms made of dark web where the messages or the words were fogotten in the depths of the thread in order to re-emerge again. 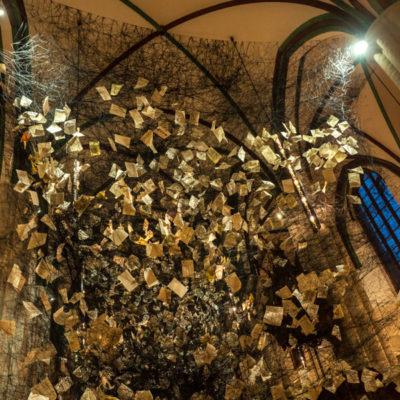 In LOST WORDS, Chiharu Shiota interweaves the current debate on migration and integration with questions about the distribution of the scriptures and their message, which themselves are part of a story of global mugration and integration –Frizzi Krela and Christhard-Georg Neubert, Curators of exhibition. 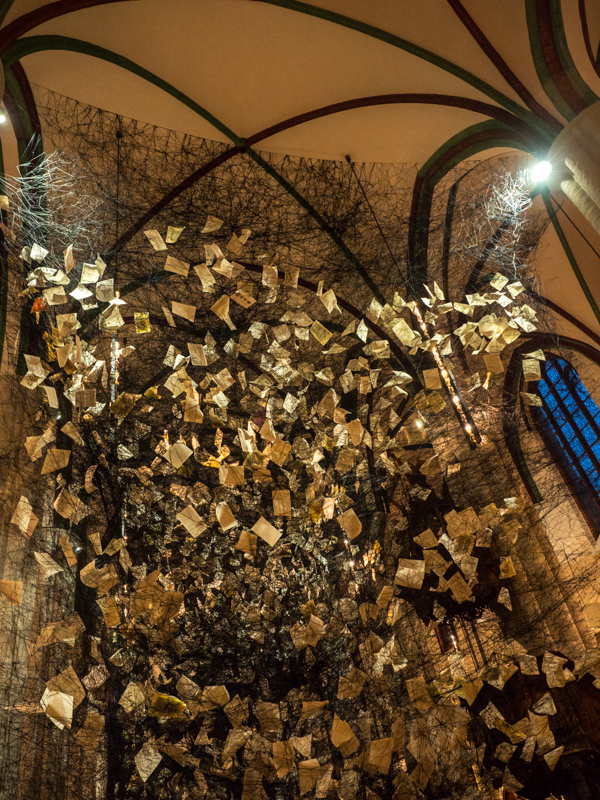 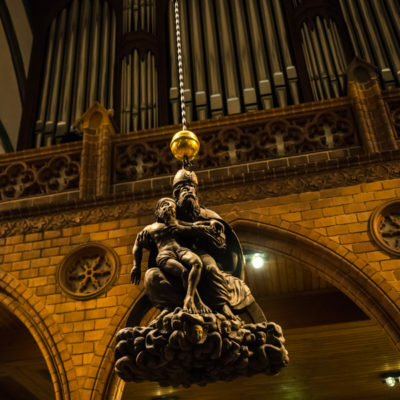 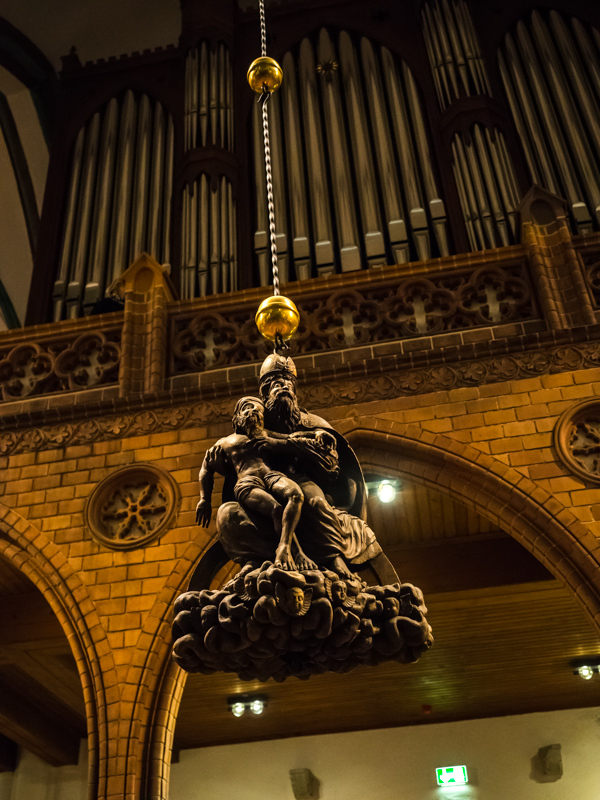 The exhibition will remain in Nikolaikirche until 18th of November and meanwhile we offer you to see some photos of the project. 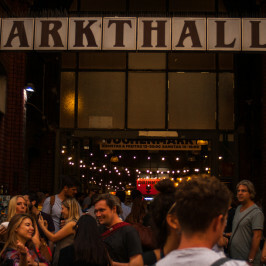 This article is a part of the collaboration with the HARD TO LIVE IN THE CITY blog by Laura Gonzalez. 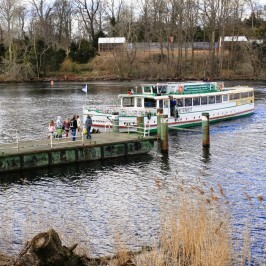 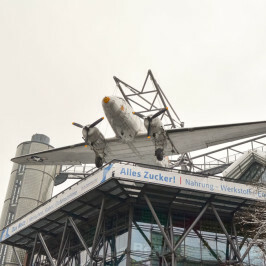 We will continue exploring new events and places in Berlin to give you a regular update on what’s the city up to.